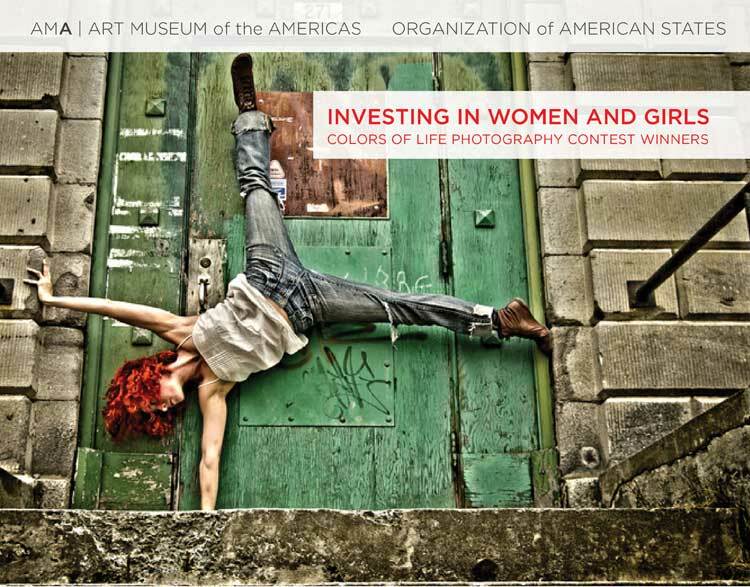 After the Summer 2013 exhibition at Capital One, Investing in Women and Girls will be shown at the The OAS AMA | Art Museum of the Americas which has four main pillars - democracy, human rights, security and development - intertwined through political dialogue, cooperation and legal and follow-up instruments. The Art Museum of the Americas, with its permanent collection and cutting-edge exhibits of artists with a creative output combining aesthetics with social and political issues, establishes a dialogue that promotes the core values of the OAS. Our exhibition doesn’t depict just a Latin American reality, but the sad reality of women living around the world, the will to empower them through education, the need to rescue them from underpaid jobs by offering them better opportunities and, most of all, the necessity to build more solid families in which violence and abuse are not the norm. As these issues have an impact on a global scale, this exhibition is meant to broaden views related to gender and to call attention to the worldwide neglect of women and girls living in societies in which culture and education unfortunately are not yet priorities and they are still relegated to second-rate status. These societies are marked by poverty caused by economic factors such as low income and safety-net expenditures, as well as by social and political factors, including poor access to basic social services, education and public health, and few opportunities to participate in the decision-making process. Approximately 70% of the 1.1 billion people in poverty are women, who also account for two-thirds of the world’s illiterate population. Therefore, in formulating policies and projects aimed at poverty reduction, every government must give consideration to improving women’s access to a variety of services and welfare opportunities and promote the participation of women in the decision-making process for the benefit of both women and men. The work of the Art Museum of the Americas and Colors of Life is based on the principle that the arts are transformative for individuals and communities. For this reason, we are proud to show this exhibition on gender equality, which promotes a society in which women and men enjoy the same opportunities, outcomes, rights and obligations in all spheres of life with a focus on identifying and redressing power imbalances and giving women more autonomy to manage their own lives. Let’s never forget that women’s empowerment is vital to sustainable development and the realization of human rights for all.